It was so hot at Metropolis Friday night that the poor kids on the dance floor got sprayed by the security guards – but what a good heat it was! A bunch of (good-looking and stylish) young adults in the 18 to 30 age bracket came to spend the night with American band Passion Pit. Expectations were high for the five musicians who had performed well last August at Osheaga, one week after Gossamer was released. 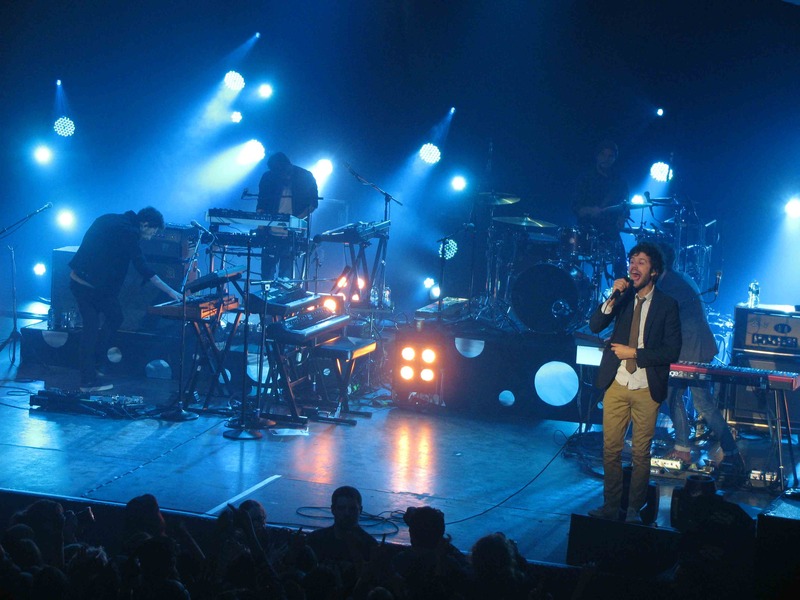 Everyone obeyed as Passion Pit’s leader Michael Angelakos put his mic towards the crowd so that they could answer the lyrics back. It was a moment of absolute joyfulness. Several people approved by shouting cheerfully as Angelakos asked, “Who was there at Pop Montreal in 2008? !” He then asked us to put our hands in the air, right before starting to play their Gossamer hit “Take A Walk.” He didn’t have to beg. The setting wasn’t very complex – big luminous balloons hanging from the ceiling over the stage – but it became quite interesting when the crowd realized that the balloons changed colours, went up and down, and also illuminated according to the beat of the song. It got even more magical when thousands of bubbles filled up the room for the popular “Take A Walk” in the middle of the show. The band left the stage after 16 songs, to which people started shouting: “Sleepyhead! Sleepyhead!” Metropolis was like an earthquake, and the crowd’s wishes were fulfilled. Passion Pit came back to play a rather unusual song, and there were no sleepy heads in the house.